Hannah Siler, a 12-year-old from Pascagoula, Mississippi, has been searching around the neighborhood for her missing cat. 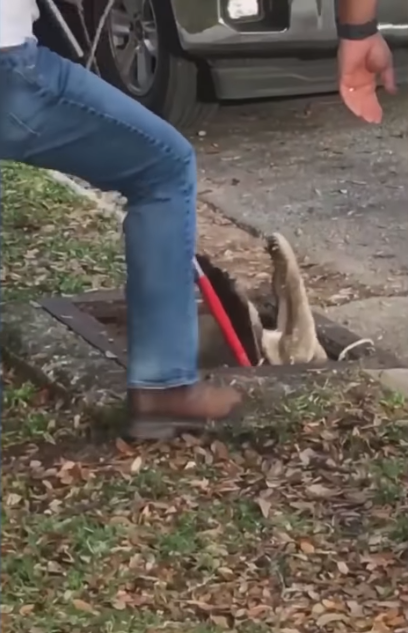 She figured the animal may be stuck in a storm drain outside her home so she tried to poke around and check. But as she stared into the dark hole of the storm drain, Hannah was startled to find a pair of yellow eyes looking back at her, which did not look like it belonged to her cat. In fact, Hannah realized those eyes belonged to an alligator that she couldn’t do anything else but scream. Her neighbor, 25-year-old Brooque Snow, heard Hannah cry out so she rushed to see what was troubling her. When Hannah told her what she saw, Brooque took a quick look and snapped a photo of the alligator to send to concerned authorities. Fortunately for Hannah, her neighbor knew the number to call for animal control. Within minutes, two officers arrived at the scene. They determined that the alligator was at least 7-foot long. 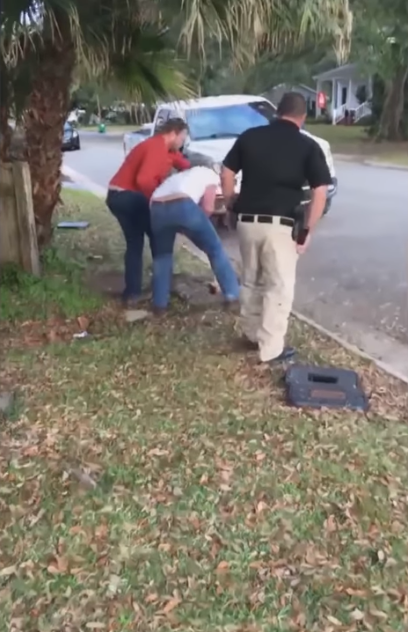 They also called help from the Mississippi Department of Wildlife and Fisheries whose workers arrived with a large trap. They used the wranglers to carefully and safely remove the alligator, while the girls took photos of the animal control workers in action. With the alligators now returned to a nearby marsh, the word about the amphibian quickly went viral. The local government even posted the photos of the recovery on their Facebook page. The notice served as a reminder to always let the experts handle wild animals and not set the traps yourself. The authorities also commended the ladies for calling and letting them take care of the situation. According to the Center for Disease Control and Prevention, one person in the United States dies from an alligator attack every year, while 10 people in the Sunshine State of Florida alone gets attacked and bitten by alligators every year. Last year, a 12 feet alligator attacked and killed a woman in South Carolina while she was walking her dog by a nearby unguarded lagoon. Another homeless woman in Florida was also nearly bitten by an alligator while she went swimming in a lake. A man from a retirement facility in Florida, on the other hand, ended up at a hospital for serious injuries when he tried to shoo away an alligator that accidentally wandered into apartment. 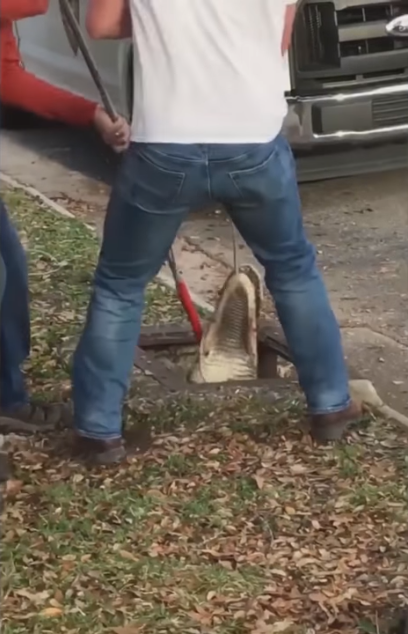 People who left comments on the Facebook page, however, also thanked the animal control workers for their quick action because the alligator could have died in that sewer. They also commended Hannah and Brooque for asking for help before other people got hurt. Alligators are common in Mississippi because the area is surrounded by bodies of water. However, it’s rare and uncommon for these animals to get stuck in the storm drain, especially something as massive as a 7-foot amphibian. 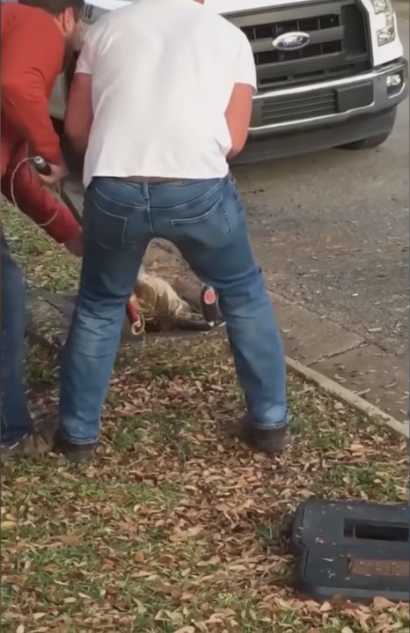 During the recovery, animal control workers noticed that the alligator had bloody patches. 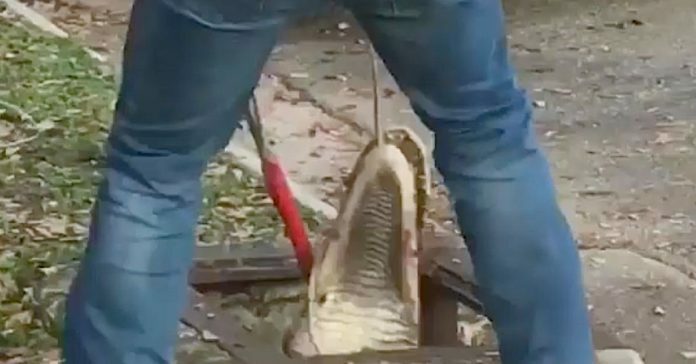 They think that perhaps because the alligator spent some time in a cramped sewer, it might have hurt itself while it was trying to find a way to get out.